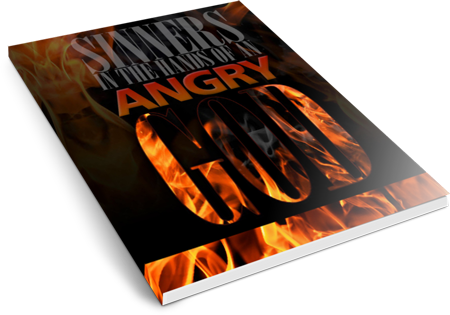 This is a modern English version of one of the greatest sermons of all time is the classic by Jonathan Edwards, “Sinners in the Hands of an Angry God.” It fueled the Great Awakening Christian revival in America in the 1700′s. Sadly, and tragically, uncompromising preaching about HELL is not only unpopular today, many people (including most Christians) actually believe teaching about Hell is detrimental to the Christian message. They say “you shouldn’t try to scare people into Hell. “Who says? Certainly not God, Jesus, or the Apostles. The Bible has far more to say about Hell than Heaven. I often say, “If you were standing on a train track about to get run over by a train, should I tell you to get off the tracks because life is so much better over there in the field or because I really love you? Or should I jump up and down, holler and wave my arms letting you know that you are about to get run over and die?” I can think of hardly a better reason to accept Christ and repent of your sins than to avoid impending judgment and doom. Yes, of course, accepting the free gift of eternal life out of gratitude to God is a valid motivation but why have we reached a point where we call the threat of Hell “fire insurance” in order to insult and diminish that reason? Why do many Christians – including Preachers – think accepting Christ to avoid Hell is insincere? Preaching Hell is not good marketing, that’s for sure; but Jesus and Paul sure didn’t have a problem proclaiming it. Every person who dies in their sin and rejects God’s offer of forgiveness is condemned to eternity in Hell. That’s fact whether you believe it or not, whether you like it or not, whether you agree with God’s plan or not. To accept Christ to avoid Hell is not only valid, it is a reason that God Himself gives us over and over in the Bible. I’ve published many books and rewritten many older works for easy reading (here’s a few: Puritan Prayers, Sinners in the Hands of an Angry God, Declaration of Independence, Bill of Rights). I realized that Edwards powerful sermon was something sorely needed by the world of the 21st century. Make no mistake – the thoughts and the outline of this message are originally Jonathan Edwards’ (from God first, of course). As a preacher, I would not be worthy to do his laundry. I just felt, given our different vocabulary and reading skills of today, it was time to write a version of his sermon for the 21st-century Christian. This is NOT a word-for-word translation, but a paraphrase of Jonathan Edwards’ message in my own words and style. I have followed the outline and thought pattern of his message, and added my own thoughts where I believe them to be applicable to our times (my additions are identified by italics type). This message by Jonathan Edwards is not only a classic, but it was also the spark that lit a revival all across America. Why not a revival today? America has been soft-pedaled a feel-good, “Jesus will improve your life,” positive-self-esteem Word of God for many decades. The result is a weak Church, a worldly people, and a far-too-casual attitude about sin… accompanied by a lack of fear about the reality of Hell for those who do not obey God. Send this to your lost friends. Send it to those who profess Christ both don’t actually live like Christians. Send it to the leaders of your church and encourage them to make it available to everyone they know. In this verse, God promises to punish the wicked, unresponsive, and unbelieving Israelites. In the Old Testament times, the Israelites were God’s people on earth; they were His chosen children and lived under God’s protection and grace. But despite all of God’s wonderful blessings, they denied God and pretty much kicked Him out of their nation and society (sound familiar in our world today?). Even though God did everything He could to be patient and bring the Israelites back in line, they still persisted in their wickedness and sin (sound anything like the world today?). 1. If you are standing on slippery surface, are you not predisposed to slipping? If you put yourself into wicked situations, are you not prone to sinning? If you continue to do wrong, are you not destined to be punished? The phrase “their foot shall slip in due time” seems to imply that because the Israelites had chosen to ignore God, was it not only a matter of time before God would respond appropriately? 3. Another implication is that people fall because of themselves, not because someone pushes them down. When a person goes down on a slippery sidewalk, they only need their own body weight. No outside push is necessary. 4. We also find that the fall comes at the time that GOD has determined. “In due time” means “at the appointed time.” Who is capable of determining that time? God, of course. It’s not that God will push them down; no, it will be that God will simply no longer hold them up. Sinners fall by their own weight, God does not cause it. The only reasons it doesn’t happen sooner are God’s mercy and patience. So, here is the point I want you to understand about this: there is nothing that keeps the wicked and sinful person from dying and going straight to Hell this very moment BUT the mere pleasure of God. I don't know about you, but I get tired of two mile long "sales pages" full of arm twisting, fake testimonials and add-on junk that is "over one million dollars in extra value, yours FREE! and you'll never see this offer ever again so buy NOW!!!". On this page you'll find a description of the item, maybe some excerpts, and a simple money-back guarantee. If you think you wasted your money, shoot me an email and let me know why (so I can improve, not disagree with you) and I'll happily refund your money. I've never wanted anyone to buy something from me that wasn't worth it and never will.